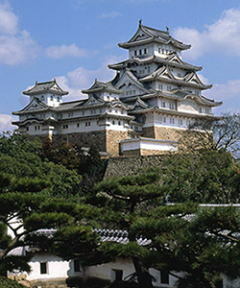 Unesco World Heritage "Himeji Castle(HImeji-jo)"
Himeji Castle was one of the first to be designated Japanese World Heritage Sites by UNESCO and, among remaining Japanese castles, it is famous worldwide. Its walls are covered with white plaster, earning it the nickname the White Heron Castle. The castle commands a graceful presence and looks out over the whole town. Kokoen is a Japanese garden with ponds built on the ruins of the 3.3 ha mansion where the Lord of Himeji and his samurai lived. The Shizutani School was a school for the common people opened by the Okayama Domain in the early Edo period. The Auditorium has been designated by the Ministry of Education, Culture, Sports, Science and Technology of the government of Japan as National Treasures in the building/structure category. Itsukushima Shrine, one of the Three Scenic Views of Japan. In the late Heian Period, the current shrine building was constructed in its present form, as a shrine on the sea. 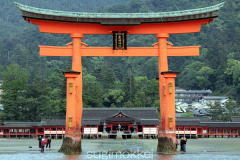 Itsukushima Shrine was registered as a World Heritage Site. Looking out over the Inland Sea before it and crowned to its rear by Mt. Misen, a sacred mountain where the gods are believed to have descended to earth. Hiroshima Peace Memorial Museum: The museum was established in August 1955 for documenting the atomic bombing that occurred with the additional aim of world peace. 53 million people had visited the museum from its opening in 1955 through 2005. The number of visitors is over one million per year. Atomic Bomb Dome: Dome building was initially constructed in 1914 as the Hiroshima Prefecture Industrial Products Display Hall. On August 6, 1945, the hall was exposed to the atomic bombing at close range of only 160 m from the hypocenter. Since the blast hit the dome in a nearly vertical direction, some of the walls were spared from destruction. 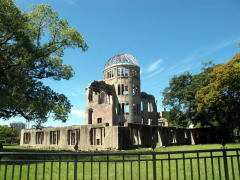 The A-bomb Dome, which was listed as a UNESCO World Heritage Site in 1996, has conveyed the importance of the abolition of nuclear weapons and everlasting world peace by maintaining its unchanged appearance from the time of the A-bombing. 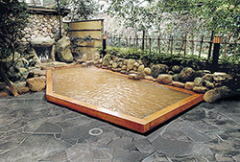 Arima is the oldest spa area in Japan. Arima hot springs are natural ones that have been used since ancient times when people had no skills of digging in the ground. Presently the digging skills are highly-developed, however, they are also providing us with hot water full of natural blessings or active ingredients from near the surface (within 300 meters in depth) in the earth. Arima hot springs are rare worldwide ones containing lots of minerals and natural ingredients. 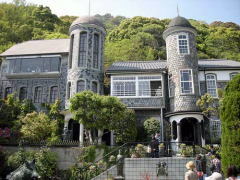 Uroko House and Uroko Museum: National Registered Cultural Property. Originally Iuxurious rental house for foreigners. Antique furniture and ceramic wares treasured by European Royal Families will catch your eye. Weathercock House: Constructed as the house of German trader G. Thomas in 1909, and famous for the weathercock on the steeple. Designated as a National Important Cultural Property. 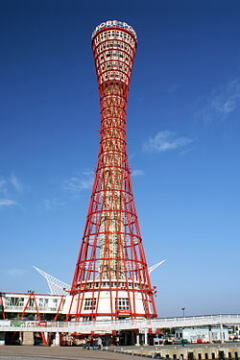 A hyperboloid structure is a 108 m high lattice tower in the port city of Kobe, Japan. Kobe Port Tower has an observation deck at a height of 90.28 metres. The red steel Port Tower offers a spectacular sight of the bay area and the surrounding area. The construction of the Kobe Port Tower was completed in 1963. The unusual design with scaffolding cover at the top is liked by tourists all over the world. The massive tower decorated with lights all over presents a unique sight at night. Tourists can visit the Kobe Tower from 9 in the morning to 8 in the evening until August. The hours of the port tower in the month of December are extended to 9 pm. However in the month of February when the place experiences its winters, the closing time is narrowed to 6 in the evening. The Port Tower is open all days of the week and all days of the year. A museum resulting from collaboration between the internationally acclaimed artist Lee Ufan, presently based mainly in Europe, and the architect Tadao Ando. The Ando-designed semi-underground structure houses paintings and sculptures by Lee spanning a period from the 1970s to the present day. Lee's works resonate with Ando's building, giving visitors an impression of both stillness and dynamism. 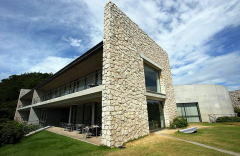 Benesse House, the central feature of Benesse Art Site Naoshima, combines multiple functions - museum, hotel, restaurant and spa. 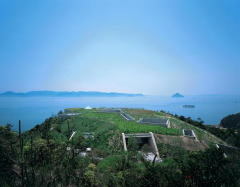 Benesse House is located on the southern end of Naoshima Island and has a panoramic view of the Inland Sea. Chichu Art Museum was constructed in 2004 as a site rethinking the relationship between nature and people. Artworks by Claude Monet, James Turrell, and Walter De Maria are on permanent display in a building designed by Tadao Ando. Taking form as artists and architect bounced ideas off each other, the building in its entirety can be called a massive site-specific art work.